American Journalist Jeff hadn't just been enshrined with a successful career but was also endowed with a picture-perfect married life with an influencing supportive wife, and beautiful children. The Buffalo-native is a correspondent at CBS News. He became the new permanent anchor for one of the most popular television news programs, CBS News, in October 2017 replacing fellow anchor Scott Pelley. Jeff became the youngest anchor of ‘CBS Evening News’ since Douglas Edwards and has been with the network since 2007 serving in different positions. Jeff, who now is at the successful height of his career, has a net worth of $3 million. Now a primary anchor of CBS News network, Jeff seemingly has an impressive salary which will add more to his net worth in coming years. Jeff first joined CBS News in 2007 as a NewYork-based correspondent. Since then, he has gone on to cover major stories including the 2012 Sandy Hook shootings, the 2012 landfall of Hurricane, the 2013 Boston Marathon bombings, and more. In addition to breaking news, Jeff has traveled to many international locations to report on various events. In 2009, Jeff began to report for the CBS Sunday Morning show, for which he won an Emmy Award in 2011 for a story. Although Jeff joined the CBS News Evenings as a news anchor in 2017, he has been with CBS for more than ten years as a reporter. His broadcasts were highlighted on different CBS News shows airing at the various time. On 25 October 2017, CBS announced that Jeff would become the new permanent anchor for the CBS Evening News replacing Scott Pelley. Jeff became new perpetual weekday anchor on 4 December 2017. As of 2018, he is an anchor as well as managing editor of the network's Evening News. 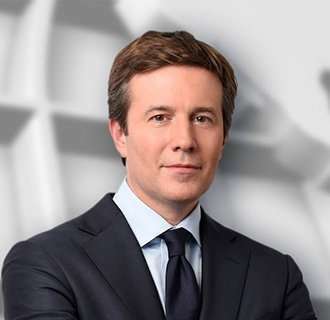 The CBS Evening News with Jeff Glor has been generating the most significant year-over-year audience drop off of the three newscasts including ABC and NBC News. As per Nielsen live-plus-same-day data, stats showcased that CBS had seen a 5 percent drop in total viewers and 14 percent drop in the key age 25-54 demographics on the second week of August 2018 vs. the comparable week in 2017. CBS Evening News fell behind NBC Nightly News with Lester Holt, which remained the second-most-watched evening newscast in August. Nightly delivered its largest margin of victory over ABC in the A25-54 demo in 13 weeks but still fell behind ABC. Stats revealed that Nightly had seen a drop of 10 percent in the demo, and 1 percent in total viewers. The leaders were ABC World News Tonight with David Muir. The show has remained as America’s most-watched evening newscast, which averaged nearly 8 million total viewers for the week of August 13. Jeff Glor was born on 12 July 1975 in Tonawanda, New York and attended Kenmore East High School. He graduated from Syracuse University in 1997 with a dual degree in journalism and economics. During his time at Syracuse, he was honored with the Henry J. Wolff prize which is given to the most proficient Newhouse student in journalism. Despite taking helms of a demanding job, Glor shares a close bonding with his family esp his grandmother. In 2015, the prominent journalist posted a photograph of four generations of his family, being together on his Instagram, which showcased his grandmother, his mother, himself and his baby. Later in 2016, Glor's grandmother, whom he loved very much passed away. He expressed his emotions of grief through an Instagram post dedicated to his late grandmother stating that he was so happy that his grandmother got to meet her granddaughter before saying goodbye. Who is Jeff Glor's Hot Fitness Instructor Wife? Jeff Glor is happily married to a fitness instructor and former college cheerleader, Nicole Migeon. The couple first met at Syracuse University and fell in love shortly. Later the duo got married in 2003. Find Out About Jeff Glor's 'Blissful' Married Life! After getting married to Nicole in 2003, the married pair welcomed their first child, Jack Thatcher Glor in 2009, which brought a lot of happiness and challenge in their life; Nicole had to go through an emergency C-section surgery. After giving birth to first child, Nicole had to face several complications related to her health. However, Jeff's wife bounced back and ultimately appeared to be in the best shape of her life after eight months of Jack's birth. The married couple welcomed their second child, Victoria Channing Glor in June 2015, who weighed 6lbs and 1oz at the time of birth. CBS News also dedicated a congratulatory video to the couple for being blessed with a second child. The proud parents are now taking care of their children with much love and care, which can be spotted on social media too. Taking to Instagram, Jeff posted a hot image of him being shirtless with his family on 2 August 2015 on Instagram. Similarly, in 2016, Jeff also posted several pictures of his family on his Facebook. Nicole, who is a nutritionist and a personal trainer, also shared the concern about her husband’s health in January 2018. Talking to New York Post, she revealed that she tried so hard to keep Jeff in shape, but he still cheats on his diet. As of now, Jeff and his wife Nicole have been together for more than 15 glorious years and living in Connecticut with their two children. Jeff's love and affection for his wife and children surely help to falsify the gay rumors that surround most of the celebrities.